I enjoy reading fanfiction because it expands on the fictional worlds, ideas and puts the characters in interesting situations. There are a lot of talented writers who make something from nothing. I really admire the ones that take an obscure secondary character and give them a whole new life yet keep them in character. 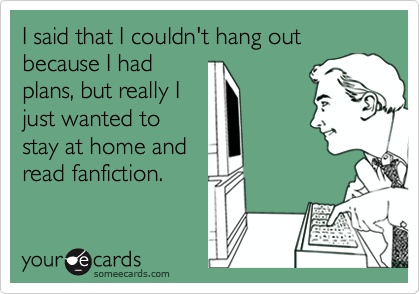 I like to read Harry Potter, Star Trek, Stargate fanfiction and sometimes I’ll look up random fiction after I watch a movie. House Hunters is a show where regular people look for houses to buy. Each episode features a couple who want to buy a house for various reasons in a new place. They go to a real estate agent and tell them their wish list and then they are presented with three different houses. There are pros and cons about each house and then the couple decide on which house they like. I like to binge watch House Hunters and all their spin offs. There’s House Hunters International, House Hunters Tiny House, House Hunters Renovation, House Hunters Family etc. I like to guess which house the couple/family will pick. I guess wrong most of the time because I don’t know them. The couple/family pick their house for many reasons such as price, location, size. An amusing aspect of the show is the pickiness of the House Hunters. Some of them want a lot of things for the price they are willing to pay or there is some small detail about the house that they are unwilling to overlook. 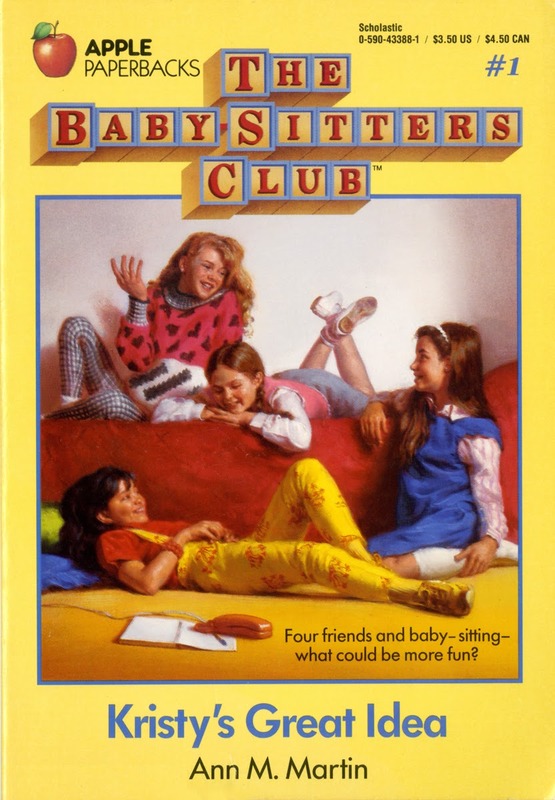 I like to read book series for teenage girls from the 80s and 90s like The Babysitters Club and Springsong Books (Christian romance books). I read it for the nostalgia as I grew up in those times. I mostly find the book at thrift stores for a dollar. They are a fun quick read. One of my guilty pleasures (ONE of them) is Kiera Cass' 'Selection' series. So fun. I love The Selection series too!